This JCI Asia Youth Exchange Program in Fukuyama provides children from foreign countries with a 5-day program while they live under the same roof. This program will lead their mutual understanding having opportunities to feel differences among countries through sessions such as Summer Camp Program, Fukuyama Culture Experience Program, homestay, School Visiting Program, and so on. Date 7 days from 19th to 25th July 2016. *Summer School Program, is held with the children of Asia nations and the children of Fukuyama.The program will develop the knowledge of world nations and ability of mutual understanding.The children will experience Japanese recreations, customs, and cultures.The children of Asia nations will stay with the children of Fukuyama under the same roof.Eating and sleeping together will develop strong friendship. *Special Program,The delegates will find the wonderfulness of Japan, Fukuyama and the citizens of Fukuyama.Also, the citizens of Fukuyama will realize new wonderfulness of Fukuyama.The program will develop stronger local patriotism.The delegates and escorting staff will home-stay at the family in Fukuyama.The home-stay will develop relationship of mutual trust, and give many fantastic memories for souvenir to all the children.The program will provide the opportunity of international and regional exchange between delegates, host family, children, and citizens of Fukuyama. * In Home Stay Program, about 60 foreign participants will be divided into 60 standard homes in Fukuyama to experience the stay for 3 days and 2 nights. Asian children will notice differences in culture, custom, and thinking through the stay with a Japanese family, and then accepting those differences will boost heartwarming and deep communication. * School Visit Program will allow children to be proud of their own countries as well as learn about cultures in other countries through countries’ introduction during communication between Asian children and Japanese children in the same generation. In addition, they can learn about education in Japan, spirit of compassion, and mutual understanding. 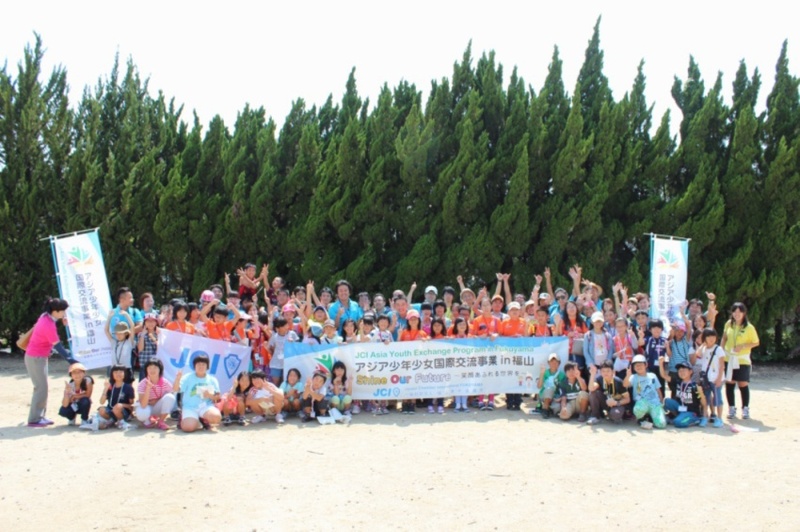 JCI Asia Youth　Exchange Program in Fukuyama offers impressionable children experience to stay in different cultures through many activities with children in the same age. After this experience, the children will rethink about their lives and attitudes. Children who accept differences in cultures and understand people from other cultures will make a major impact in the future. Here in Fukuyama, we have our original spirit called Rose Mind. While children are welcomed by Fukuyama citizens with the Rose Mind, the children will feel the spirit of “hospitality, caring, and helping each other,” and be empowered to act with the OMOIYARI sprit. Accordingly, they will contribute to world peace in the future. 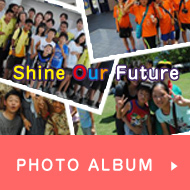 Copyright(c) 2014 JCI Asia Youth ExchangeProgram in Fukuyama Co.Ltd. All Rights Reserved.